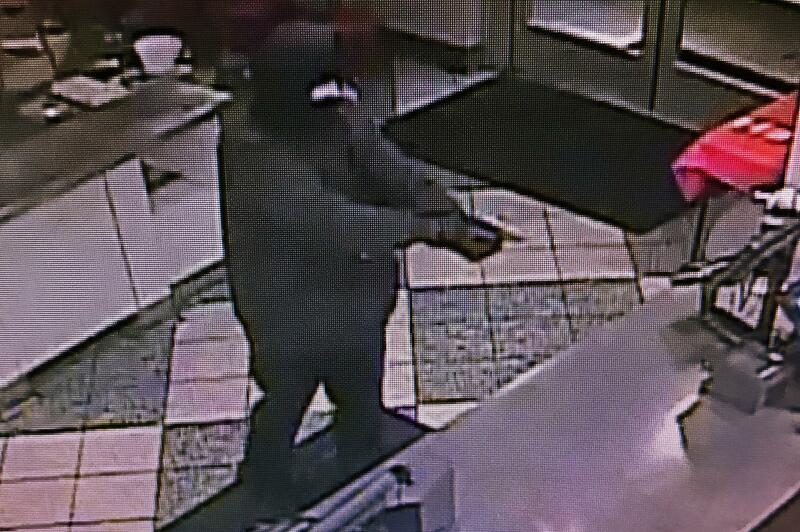 A Spokane Valley Krispy Kreme was robbed at gunpoint on Friday night, and the culprit remains at large. Spokane County sheriff’s deputies responded to the reported robbery at about 11 p.m. at the Krispy Kreme, 15401 E. Indiana Ave., according to a news release from the sheriff’s office. The suspect pointed a handgun at employees and demanded money from the register. After getting the money, he fled out of the store and in a western direction. The suspect wore an all-black hoodie and facemask. The robber was described as a white male between 5-foot-11 and 6-foot-1 and 180 to 200 pounds, according to the news release. Deputies used a police dog to try to find the suspect but were unsuccessful. A witness later told deputies that a man at nearby Sullivan Park ran across the Spokane Pedestrian Bridge and got into an old “beat up” white SUV or pickup with a canopy. He entered the car and sped off, according to the witness. Detectives are not certain if that man was related to the robbery. Anyone with information is asked to call Crime Check at (509) 456-2233 and use reference No. 10048692. Published: April 13, 2019, 3:03 p.m.